Andy is a Physical Therapist with more than 25 years of experience treating orthopaedic, sports, and industrial injuries. 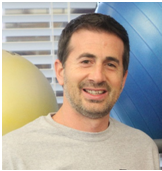 He received his Physical Therapy degree from the University of Delaware and his Advanced Master’s degree in Physical Therapy and Athletic Training from the University of North Carolina at Chapel Hill. While at Chapel Hill, Andy provided sports rehabilitation and athletic training care for Tar Heel athletes on the football, baseball and gymnastics teams. GO HEELS!! 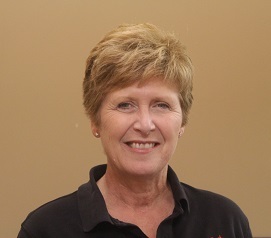 He was designated as a Board-Certified Sports Physical Therapist (SCS) and Certified Athletic Trainer (ATC) for 20 years. After receiving his Master’s degree, he worked at Greensboro Orthopaedics for 16 years, then started this practice in 2008. He is also certified in Physical Therapy Intramuscular Trigger Point Dry Needling. On a personal note, Andy is thankful for so many things including his family, Christian faith, health, and living in Oak Ridge since 1992. Andy has three fantastic children. Andy attends Westover Church in Greensboro where he is involved in the Faith & Work and Men’s Ministries, as well as, helping in one of the 4 year old Sunday School classes. He has been involved in the local community through church, soccer coaching, Boy Scouts and his homeowner’s association. Andy enjoys time with family and friends, aswell as, running, CrossFit, travel, boating, and camping.